We have worked hard to make sure that our public dollars are being put to good use, and as the Chair of Assembly Government Affairs this has been a particular focus of mine. We have put in place several new programs to move the state toward a better system of budgeting, and to bring greater transparency overall AB248. We have also passed several pieces of legislation to reduce gridlock at state agencies AB13, increase use of small, local businesses in state contracting, and make better use of dollars that were previously kept in reserves AB303. 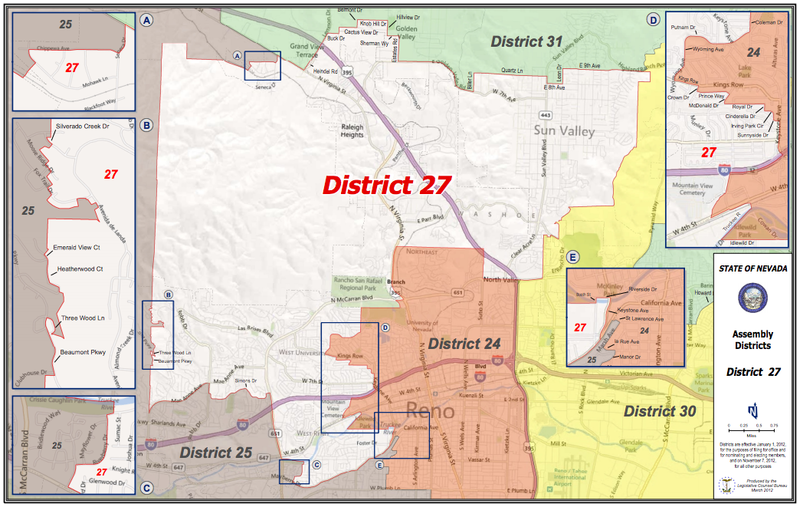 ARE YOU IN DISTRICT 27? Click HERE to see a map of my district. If you are not sure, feel free to get in touch. For more information click on the section you want to learn more about. I entered public service to be an advocate for my community. Please contact me at electteresa@gmail.com or 775-247-7665 if you need assistance resolving issues surrounding foreclosures, government regulations or social service and community needs. Paid for and authorized by the committee to Elect Teresa Benitez-Thompson. Site by Sara Wainwright.